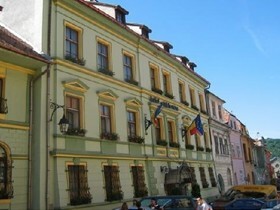 Hotel Sighisoara is in the heart of the old citadel of this UNESCO world heritage site. It provides a high standard of accommodation in this historic building. Rooms are comfortable and with character. The hotel as several options for eating and drinking, including a wonderful terrace restaurant at the rear of the hotel.